Click below "PayPal" button. Once you click it out , overall control will goes to PAYPAL, which is very secure and safe. You can pay with any credit cards, debit cards, bank accounts or PayPal balance (whichever is applicable). Optimized for mobile - Customer using smartphones can complete their purchase quickly and easily. Accept payments on your mobile devices for make a payment of Korea limousine car service in Korea. Desktop or notebook, Tablet and any other devices users are also can complete their purchase quickly and easily. 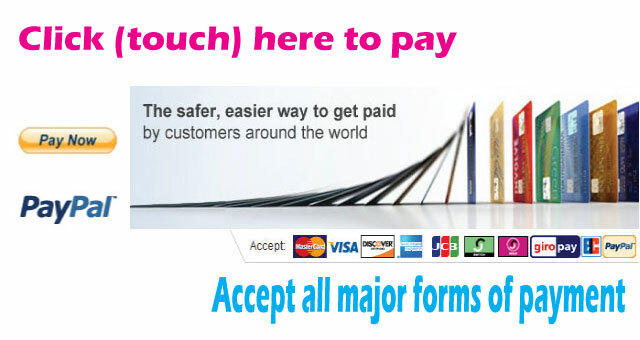 Secure and Safe payment via Paypal PayPal is the safer, easier way to pay. When you make a payment, you can choose how you want to pay for your purchases: If you have sufficient PayPal balance to cover the payment, the amount will be deducted directly. If you have linked a credit or debit card to your PayPal account, the payment amount can be deducted from your credit or debit card after you've depleted your PayPal balance.